My recent post about Jean Stapleton moved several readers to ask about what happened with Cary Grant. This second June posting is especially for them: Brian in the U.S., (Happy Belated Birthday, Brian); Tony and Barbara in Australia, and Eldon in Canada. They want to know about it. At the time Coronet assigned me to write about whom the stars admire, I picked some I knew through my work in public relations, while others were contacted through people I knew in the business. However, Cary Grant was my favorite actor. I had seen him in “North by Northwest” and still love train travel as a result to this day. I very much wanted to include him, even though he had recently retired. A colleague was able to get his home address for me and I promptly wrote Cary Grant a letter. In those pre-computer days, we typed each letter separately, which was no big deal. I typed well. After deciding how to word my request, the letters to other stars flew quickly out of my electric typewriter, except the one to Cary Grant. That letter was typed slowly, painfully, each word considered and reconsidered and placed carefully on the page. This wasn’t just anyone. This was Cary Grant! In the end, it turned out to be the very same letter I sent to everyone else, but no other letter was checked more times for errors, or reread again and again and yet again. And, I never expected a reply. A week or so later, I answered the phone to hear a clipped, British-accented, male voice asking for Muriel Kauffmann please. Cary Grant! I could be blase about other stars, they’re just people after all, but not Cary Grant! It was really him, himself, uh, I was talking to him — for real — CARY GRANT on the telephone. And, he was talking to me too! Was I able to behave like a real person? Did I play it like a professional? Did I faint, get flustered, stutter or say something embarrassingly stupid? Of course not! I’m a trooper. I managed to carry on the conversation as if I talked with the likes of Cary Grant every day. We discussed the article I’d been asked to write, he was willing to participate, we chatted amicably about his input. He said he would write something, mail it to me, and I managed to graciously thank him. Well, maybe I thanked him twice and too graciously, but surely you’ll forgive me for that. It was an open and interesting conversation in which he talked about how, when he was making movies, they had so much more time to complete them, and how he felt the current actors were under so much more pressure than he had been under. When the fabulous, surprisingly long conversation was over, I hung up just like ordinary people do when they have ordinary everyday conversations on the telephone. Then it hit me. That was Cary Grant!! I could no longer keep up the pretense of normalcy. “Do you know who that was?? ?” I cried out to my CPA husband, sitting at his desk right across from mine in our office. I couldn’t stay in my seat. I jumped up so fast, my secretarial chair went flying out from under me. “Who?” he asked casually, as he continued working away at his figures. Hubby peered at me over his metal-framed glasses, a blank expression on his face. Imagine! He didn’t know anything about Cary Grant! Somehow the excitement of the moment was diminished and I felt angry at him for not being able to share my enthusiasm. I purposely emphasized the word “gorgeous” to punish him, although it really wasn’t his fault. He grew up in France and his favorite American star was Broderick Crawford, whose violent films, for some reason, were popular on French television. Unfortunately, he chose that very moment to tell me so. “Broderick Crawford? 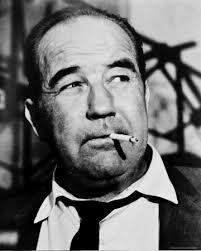 BRODERICK CRAWFORD??? How can you even mention his name in the same breath as Cary Grant?” I stammered. So it was that my conversation with Cary Grant went uncelebrated in our household, but I enthusiastically shared my triumph with writer/friends, and I remember it well. Besides, the famous star gave much thought to what he had to say for my article, and Coronet was so pleased, they gave me another paying assignment the very next month. Do write to let me know about your own brushes with fame. Meanwhile, here is the very reflective piece Grant wrote and mailed to me. “You ask me who the stars admire. Well, as a former, so-called ‘star’ I admired, and still admire, countless people; but if, as your question seems to indicate, you inquire which actors, past or present, have earned my admiration, then there are many. However, I have respect for any and all actors and actresses. It takes courage to expose oneself to examination of face, figure, deportment and manner of speech whether in a theatre seating anywhere from three hundred to one thousand people or, as amplified in films, in theatres all over the world where millions of people, in aggregate, make the actor the focal point of attention. An actor must risk the dislike or disdain, criticism or indifference, of each member of the audience. Of the actors in the past who had the courage to ‘come on straight’, portraying themselves as nearly as possible (which is the most difficult of all acting from my point of view) my especial admiration goes to Spencer Tracy, Lee Tracy, and Humphrey Bogart. Each of those actors played their natural selves within the framework of the plot; whether in drama or casual, though always modern roles. One of the actors I’ve most enjoyed is Mickey Rooney, who seems quite uncaring about exposing his own feelings and failings whether in drama or comedy. There’s another actor whom I greatly admire — Sir Lawrence Olivier. Unlike those others I’ve mentioned, he arranges to submerge his own warm and distinguished personality behind fascinatingly true, and incredibly effective, character studies. He is a completely different, yet equally compelling actor. For most of today’s crop of young actors, I have unbounded admiration. Al Pacino, Jack Nicholson, Dustin Hoffman, and the many others who assay roles without inhibitions and are able to expose their inner selves to the utmost. While on the subject of actors I admire, I must include the name of one of the funniest comedians I’ve every seen. Tim Conway, who appears here in Los Angeles, on Saturdays, on the Carol Burnett television show. He runs the gauntlet of comedy roles. Old men, young men, garrulous men and silent men. He combines the pantomimic qualities of Buster Keaton, Harpo Marx, Bobby Clark, and both Laurel and Hardy. Conway is a remarkably agile and athletic man and, I suspect that he, like myself, was, in the past, a theatrical acrobat. Perhaps that is why he, so particularly, appeals to me. Your question, who do I admire, could, of course, be answered to include countless people, living and dead. Jesus, da Vinci, Browning, Shakespeare. 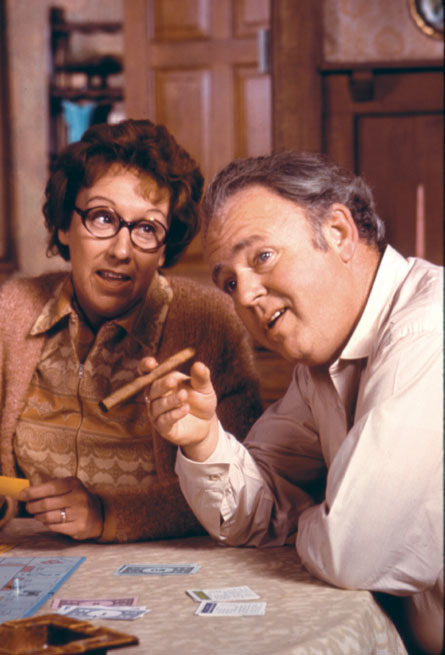 This month we lost a talented, funny and gracious lady — Jean Stapleton. Stapleton died at 90, a decent age — but I mourn her nonetheless. Remember her? She played Edith Bunker, Charlie Bunker’s long-suffering wife on television’s popular “All in the Family” show which ran from 1971-1979. At the time, this show dealing with bigotry and racism was a courageous offering, produced by the brilliant Norman Lear. And, it worked so well because Lear was so clever, and Carroll O’Connor and Jean Stapleton were so right for the parts they played. O’Connor was perfect as the cigar-chomping bigot Archie Bunker, and Stapleton did a fabulous job portraying his wife, Edith. Will we ever have television shows like we used to again? Seems like those intelligent series are a thing of the past, replaced by dull, but less costly, reality shows. And, no, I haven’t yet found one to enjoy…. Back in 1976, I was given an assignment to write an article for Coronet Magazine, (it no longer exists) which they called “Stars Reveal Their Idols!” It was not my choice, but it was what Coronet wanted and I was tickled to get it. I was just starting out, and I would be paid for it. My favorite writing instructor used to say: “A good writer can write about anything.” So, why not? Besides, I was able to choose which stars to interview, and one of my favorites, of course, was Jean Stapleton. “Lord Lawrence Olivier is the actor I admire as a consummate artist, and I would very much like an opportunity to work with him. His timing is flawless, his sense of character perfect, and his knowledge of his craft is magnificent. Who else did I interview for the article? Joan Rivers, Paul Anka, Marie and Donny Osmond (to please my teenaged daughter who liked them so much), Phyllis Diller, Barbra Streisand, Glenn Campbell, Bill Cosby, Kirk Douglas, Micky Dolenz (from the Monkeys, again to impress my daughter) and my own very special favorite, Cary Grant. I’ll tell you more about him later. 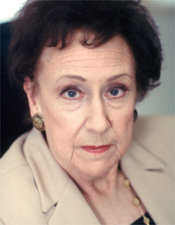 Meanwhile, I am truly saddened by the loss of Jean Stapleton. We have lost a great lady indeed.